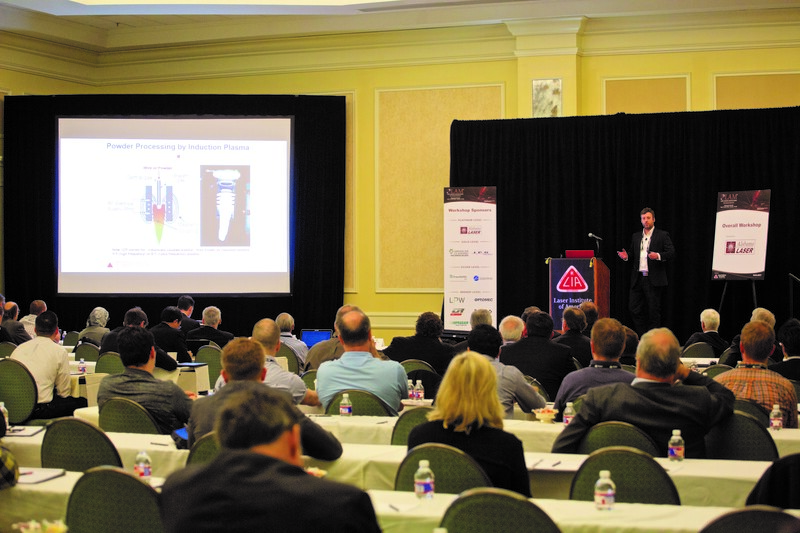 By Ron D. Schaeffer, Ph.D.
• Stereolithography – Reasonable growth but the industry depends on more non-laser solutions. • Laser Sintering (DMLS/SLS) – This area is growing strongly. There are two main application areas – plastics and metals. Plastics suffer from the availability of a variety of materials and usually use CO2 and Diode lasers, usually with under 300W of output power. • High Speed Sintering (HSS) – This is a newer technology and is used primarily for plastics. This technique is 10 – 100 times faster than SLS and can manufacture many tens of thousands of units per day. At the time of this writing, metals are not yet there, but time may change that. The good news is that the LAM market is set to really ramp up and could spike in the next couple of years. Therefore, it is a great time to investigate LAM (and thereby the LAM® Conference) to get in on the “ground floor” of the technology. While this conference has been around for 10 years, this year the venue has moved to Schaumburg, IL, for the first time and is co-located with the Lasers in Manufacturing Event® (LME®) with overlap on Wednesday, March 28th. The conference takes place at the Schaumburg Convention Center on March 27–28, 2018. • Find out if Laser Additive Manufacturing can help with your manufacturing problems. • Network not only with the exhibitors but other attendees as well. • As part of the registration fee for LAM, entry to the LME show is also included! Take advantage of both events and all of the associated benefits. • Find a job in the photonics industry – or find laser experts to bring onto your team if you are thinking about ramping up laser processing. • Increase the bottom line by increasing profits! In a manufacturing world this is what it is all about. The LAM chairs will return to build on its successful program from last year. Milan Brandt of RMIT University will continue as the General Chair, with John Hunter of LPW Technology, Inc. and Minlin Zhong of Tsinghua University serving as Conference Co-chairs. A representative from America Makes will give the first keynote address of the conference, titled “Smart Collaboration: A Public-Private Approach to Advancing the Additive Manufacturing Industry.” America Makes strives in additive manufacturing (AM) and 3D printing (3DP) technology research, discovery, creation, and innovation to increase global manufacturing competitiveness. Other presentations range in topics from laser cladding to laser welding. Prabu Balu of Coherent, Inc. will discuss recent advances in laser cladding. Balu is the senior application engineer at Coherent. His talk will provide a set of guidelines to successfully deposit highly reflective materials using powder-based laser cladding (LC), high deposition rate (up to 10 kg/hr) with minimal dilution (as low as 1%) using hot-wire based LC and thin coating thicknesses (varying from 25 µm to 500 µm) using ultra-high-speed LC process. Paree Allu of Flow Science will give a presentation on “Computational Fluid Dynamics (CFD) Modelling for Additive Manufacturing and Laser Welding.” Allu is a computational fluid dynamics engineer at Flow Science. Allu will explain how CFD modelling can help with the widespread use of AM technologies by providing a framework to better understand AM processes from the particle and melt pool scales. 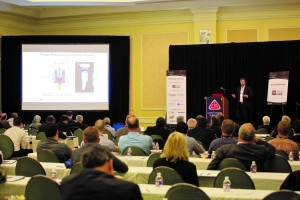 Day One will wrap up with presentations on Process Monitoring, featuring John Lehman from the National Institute of Standards and Technology (NIST) and his talk on Laser-based Manufacturing; Novel Developments in Process Monitoring at NIST. Lehman is the leader of the Sources and Detectors research group at NIST and a fellow of the Alexander von Humboldt Foundation of Germany. The research group provides laser power and energy meter calibrations to the U.S. and much of the world. Keynote speaker Ehsan Toyserkani from the University of Waterloo will kick off Day Two with an overview of Canada’s additive manufacturing initiatives. Toyserkani is the founder of and research director for the MSAM lab at the University of Waterloo, the university research chair for additive manufacturing, and a professor in the Department of Mechanical and Mechatronics Engineering. His presentation will cover the challenges and opportunities related to a research program on novel in- and off-line quality monitoring of selective laser melting along with assurance protocols. The following session will feature Warwick Downing of Rapid Advanced Manufacturing Limited and his thoughts on how to grow the metal additive manufacturing industry. Downing is the chief executive of Rapid Advanced Manufacturing. He established Rapid Advanced Manufacturing Ltd (RAM3D) in 2013 with a group of like-minded shareholders to grow the commercial opportunities created by the growth of the metal 3D printing sector. In the final session of the conference, Mohsen Seifi from the American Society for Testing and Materials (ASTM) International will discuss the standardization of additive manufacturing. Seifi is the director of Global Additive Manufacturing programs at ASTM International. Previously, he was a doctoral researcher in the Department of Materials Science and Engineering at Case Western Reserve University. After the final session, there will be a reception on the show floor in conjunction with LME starting at 4 pm. Since LAM attendees are welcome to fully participate in LME, there are also many more talks, tutorials and classes available. Please see the information on LME for details. LIA will provide attendees with an enhanced experience by co-locating LAM and LME. The premier LAM conference sponsor is Alabama Laser. Alabama Laser has been involved in laser materials processing for many years and is one of the pioneers of LAM in the U.S. Alabama Laser provides a range of advanced laser services, such as cladding, welding and heat treating, as well as process development, laser research, and custom laser systems. Working in conjunction with their affiliate company, Alabama Laser Technologies, they are also able to offer customers additional services such as laser cutting, punching, forming, welding, and precision machining services. The other generous sponsors of LAM are Trumpf, LPW and Laserline. Trumpf is a German manufacturing company with not only a large laser division, but an even larger traditional machine tool presence, and they are making a big push for LAM as part of their strategic future planning. LPW Technology Inc. is a metal powder manufacturer that aims to improve additive manufacturing. Its quality powders are compatible with all additive manufacturing systems. The company also offers a PowderLife lifecycle management program for quality assurance. Safe-handling, storage, measurement, and testing solutions are available to ensure proper powder usage. Laserline is a company delivering high power diode lasers. Laserline is a longtime LIA supporter and has been in the LAM industry for many years. Laserline offers industry-appropriate laser solutions for laser materials processing – from beam generation to the work piece. In addition to their sponsorship, all of the above companies are also exhibitors and will have experts at both LAM and LME ready to answer any technical or budget-related questions that may arise. Registration is now open! For more information and to register, visit www.lia.org/lam. Ron D. Schaeffer is a technical consultant to PhotoMachining.